give students 15 minutes to work on the problem then their work is posted. While they are working, the teacher is moving around taking pictures. If a student asks a question, the teacher asks another question based on the monograph Asking Effective Questions. These pictures are taken with the iPhone or Educreations. MaryKay can also annotate the picture and record the student’s reasoning. Consolidation – share (what is the same , what is different in the students’ work) 10 minutes, highlight – anchor charts constructed based on the good work that they have done. 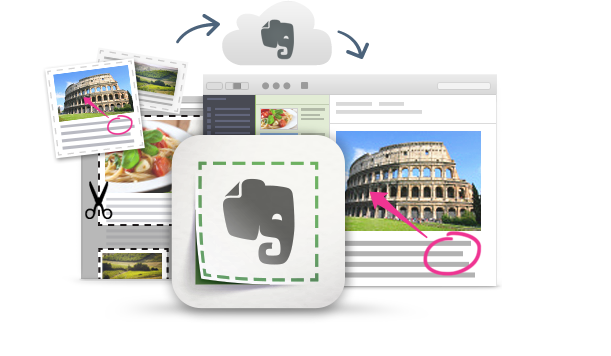 pictures go into Evernote @student name goes directly to their folder. Also take pictures of the anchor charts to the teacher’s folder. How do I create a situation in which Grade 2 students can tinker and begin to construct an understanding of addition with regrouping? How do I help a Grade 6 student determine, through investigation using a variety of tools and strategies, the relationship between the area of a rectangle and the area of parallelograms and triangles? How do I allow Grade 8 students to determine, for themselves, the relationships among area, perimeter, corresponding side lengths and corresponding angles of similar shapes? 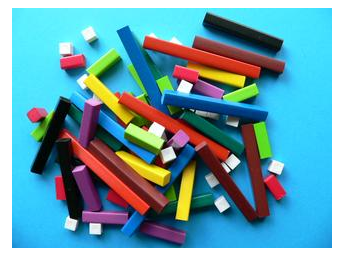 How the heck can I use Cuisenaire Rods in my classroom? When students use physical objects/math manipulatives to construct and articulate an understanding of a math concept, how can I capture this information so that I can access it long after the manipulatives are put away? Where does the use of technology by students and/or by teachers align with effective math pedagogy? with the pedagogy called for in Ontario’s math curricula — teaching/learning math through problem solving. Come and work your way through some challenges I will bring…or bring some challenges of your own! Stay for a little while and pick up a problem solving task you can use in your classroom on Monday. Stay for a little while longer and co-plan a unit in which students will construct their understanding of a new math concept. As well, if you’re interested, simultaneously investigate how you can use technology to make students’ (math) thinking visible. This pedagogical documentation can prove to be so helpful when it comes time for student review, parent communication and assessment/evaluation. I have experience using AudioBoo, Fotobabble, VoiceThread, and various screencasting apps (ShowMe, EduCreations & Explain Everything) to capture student thinking and Evernote to organize and save these captures. I’m happy to share what I’ve learned and I’m hoping you might have something new to share with me. I’m looking forward to the experience!